After much internal and external debate I’ve placed an order for my first grand seiko. The SBGW231 which I just discovered a few days ago thanks to this forum page. Ordered new from AD in Maryland. I’m really looking forward to this and it should arrive Thursday. I chose this watch, among other reasons, for the manual wind, display back, case dimensionsion especially the thickness being only 11.6mm which is on the thinner side for the brand, and I want to experience the brand, just to name a few. I’ll be sure to post pictures. As for the external debate, thanks to my wife for listening, and no you’re not stealing this watch. And thanks to my new friend wisemenofgotham for all of your expert advice and pictures of your watch. Glad I can help! Post tons of pictures haha! Looking forward to seeing some wrist shots, congrats! That's a lovely piece. I love the dial on it. It's very classy. That's 37mm right? Does anyone know if they do a larger case size with a similar dial? Congrats! Waiting for picture confirmation. Tell us the dial color. Off white? Cream? Egg shell? Sorta white? Never saw one in person. 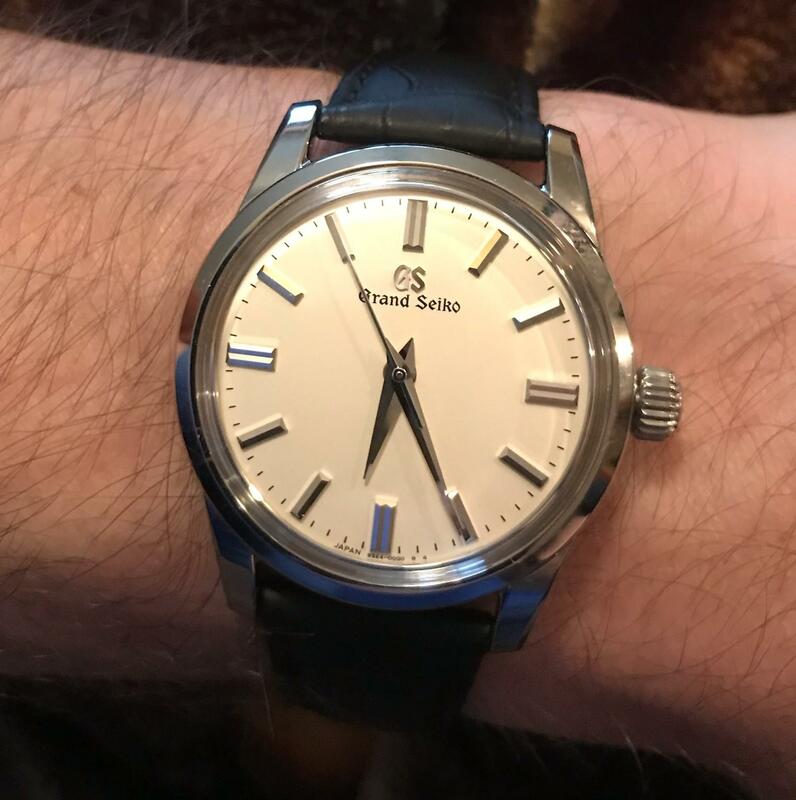 My first Grand Seiko has arrived! I love it! As for dial color... I would say it's a light egg shell. Not as cream as expected, I think the color is perfect in that it doesn't distract my eyes from the watch. What do you guys think? Looks awesome on your wrist! Congrats again! Looks great, congrats again it's a great all-around watch! 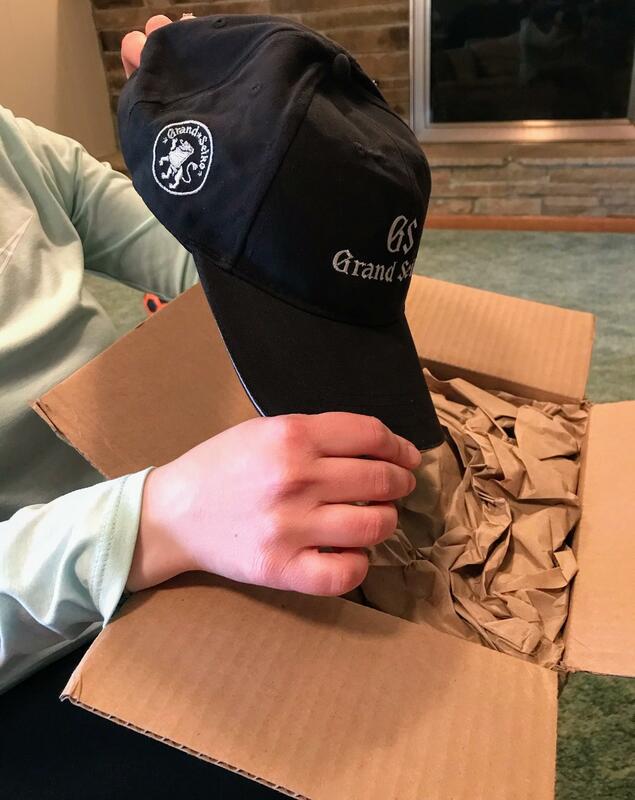 I think I want to know where you sourced that cap! great watch and amazing cap. What width strap does that take?